Hermetikus’s evil ambitions are tremendous—you could say they’re GALACTIC in scale! 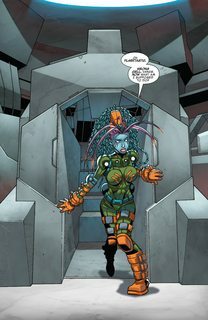 Does this villain hold a strange connection to the Guardians 1000? 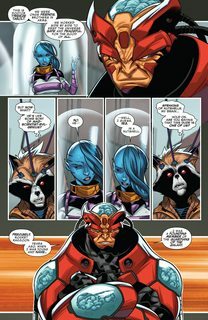 Even though Rocket, Drax and Groot have joined a GUARDIANS SUPERGROUP, they might be in over their heads! Plus! 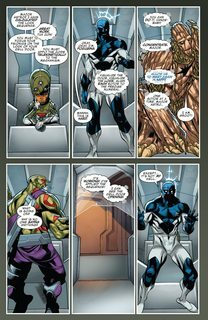 Writer JEFF KING (White Collar) and artist FLAVIANO ARMENTERO show you what happens when Rocket and Kitty act as bodyguards for an interplanetary whistleblower!